Each move has drawn protests from net neutrality proponents, claiming such “zero-rating” plans violate the spirit, if not quite the letter of the FCC’s net neutrality order. As usual in such debates, distinctions are being lost. What T-Mobile is doing is different, both in motive and means, from what Verizon and AT&T are doing, which is different still from what Comcast is doing. T-Mobile has no streaming services of its own it’s looking to boost by exempting them from data caps, for instance. It’s simply trying to win more wireless subscribers by sweetening the pot. While it’s actions may incidentally be harmful to streaming services not included in Binge On, that does not appear to be T-Mobile’s intent. FCC chairman Tom Wheeler himself praised Binge On as both innovative and pro-competitive. Verizon and AT&T, on the other hand, are clearly trying to become media companies in their own right. AT&T didn’t spend $48 billion earlier this year to acquire DirecTV because it likes to launch satellites. Verizon spent $4.5 billion this year to buy AOL, its ad network and all its media properties (Huffington Post, TechCrunch, Engadget, etc.). Their plans may be not-so incidentally harmful to other media providers. Comcast, meanwhile, is clearly giving Stream TV a not-at-all incidental leg up over direct competitors. The fact that all are being lumped into the debate over net neutrality again illustrates the degree to which that debate has really become an argument over the future of OTT video and pay-TV more than a debate over open networks. That process wasn’t incidental, either. It was vocal advocacy and direct lobbying, by Netflix in particular but other OTT providers as well, that led the FCC to expand the scope of its open internet proceeding to cover issues such as interconnection agreements and zero-rating, which are primarily the concern of OTT service providers rather than ordinary internet users. While those issues can certainly be problematic, as Comcast continues to demonstrate, they might have been better left to adjudication under ordinary antitrust law, rather than swept up into FCC regs. Particularly so given these are still early days in the development of online video and it’s far from clear where leverage in the business will ultimately settle. As I’ve argued here before, content providers tend to win out in the long run over distributors, as any cable operator who has ever lost a retrans fight with a broadcaster can tell you. Assuming that ISPs will always have leverage over OTT providers, and writing rules based on that assumption, puts a big thumb on the side of the scale that may ultimately need it least. 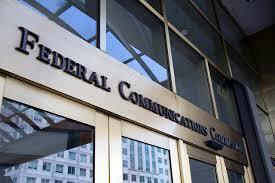 As it happened, the FCC’s claim of authority to regulate those issues, under a vague “general conduct” rule drew the most skepticism from the bench at this month’s oral argument. It would be ironic, and a shame, if it provided grounds for the court to throw out the entire net neutrality order.